How was it for you? (or: Noriaki – Satisfaction guaranteed?) 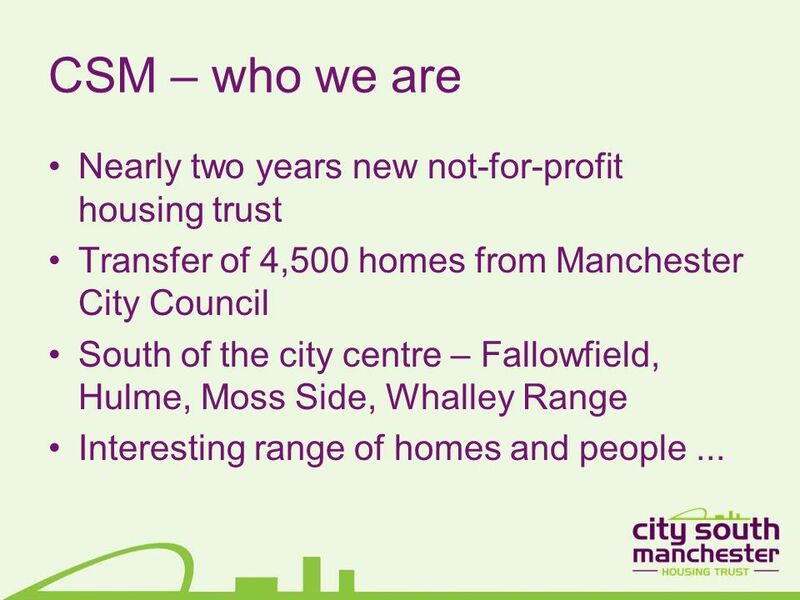 Phil Lukes Customer Involvement Manager City South Manchester Housing Trust. 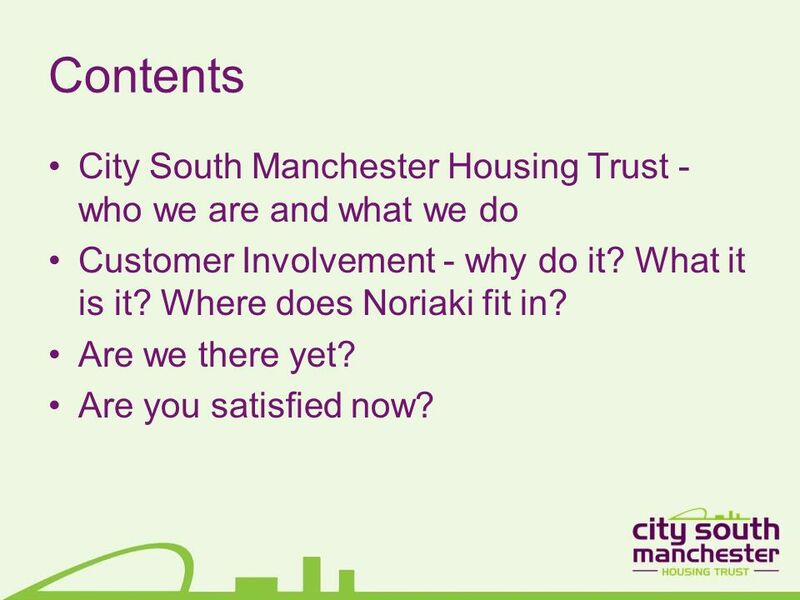 2 Contents City South Manchester Housing Trust - who we are and what we do Customer Involvement - why do it? What it is it? 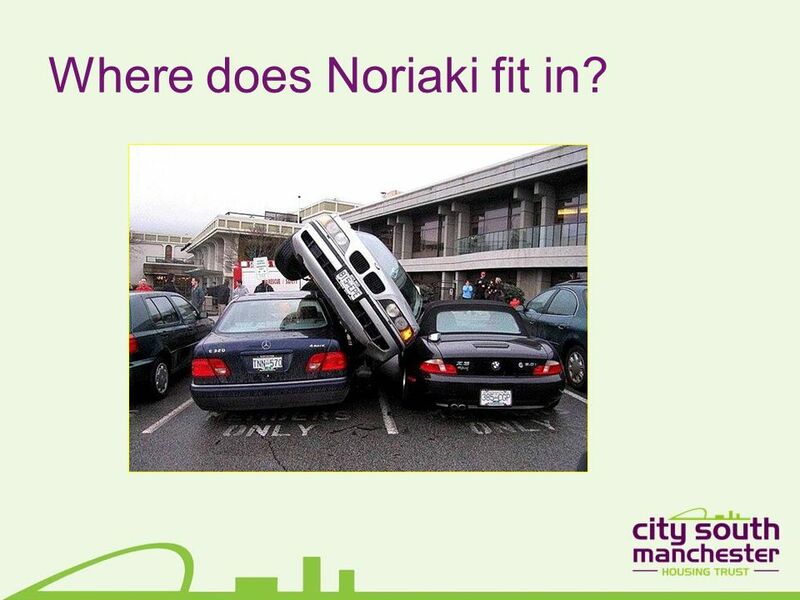 Where does Noriaki fit in? Are we there yet? Are you satisfied now? 8 CSM – what we do? 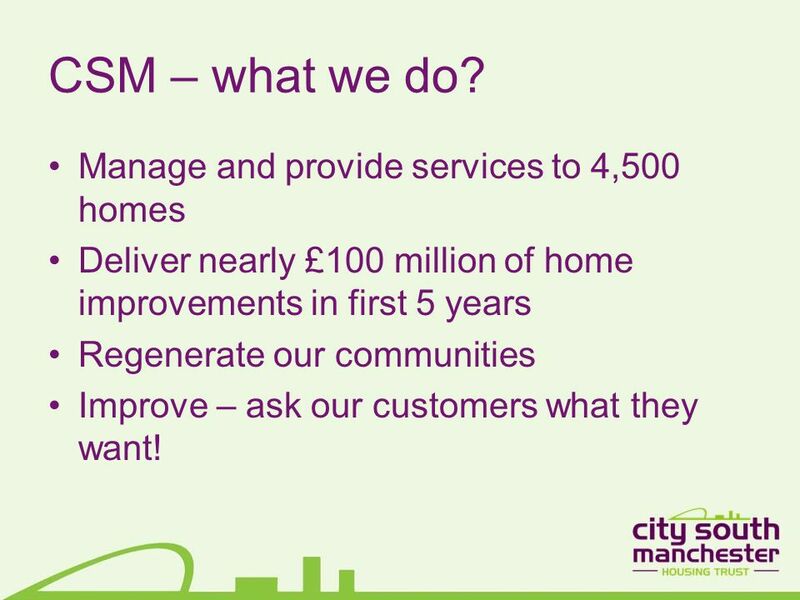 Manage and provide services to 4,500 homes Deliver nearly £100 million of home improvements in first 5 years Regenerate our communities Improve – ask our customers what they want! 11 Where does Noriaki fit in? 18 Are you satisfied now? Download ppt "How was it for you? (or: Noriaki – Satisfaction guaranteed?) 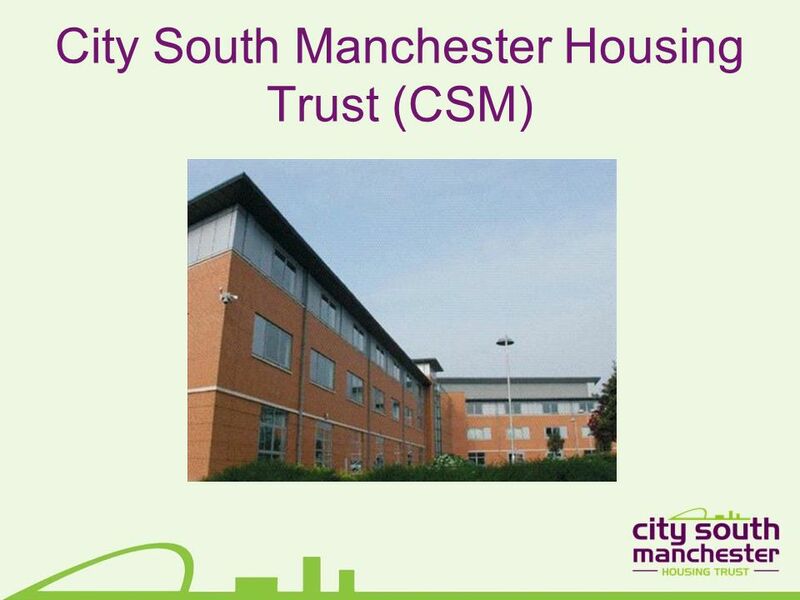 Phil Lukes Customer Involvement Manager City South Manchester Housing Trust." Because youre worth it! VALUE FOR MONEY David Lloyd. 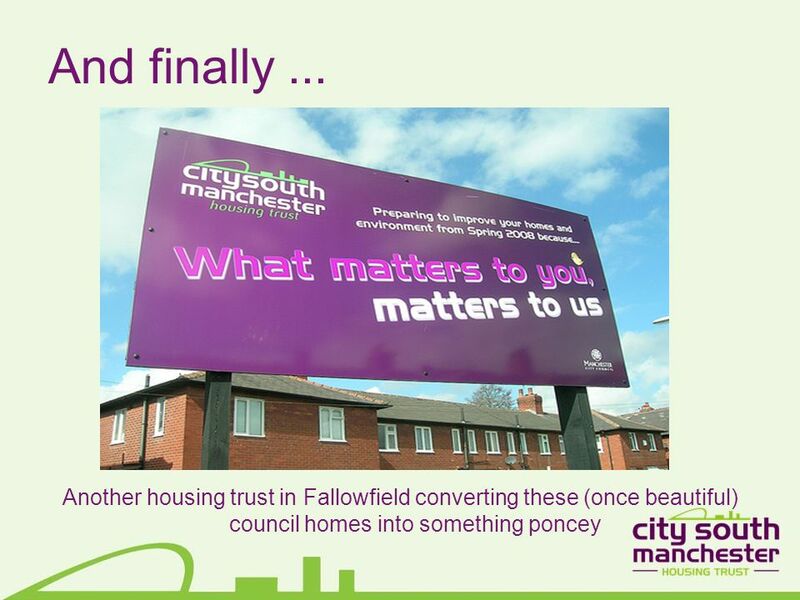 Halton Housing Trust Customer Scrutiny Panel An introduction to our Service Reviews. 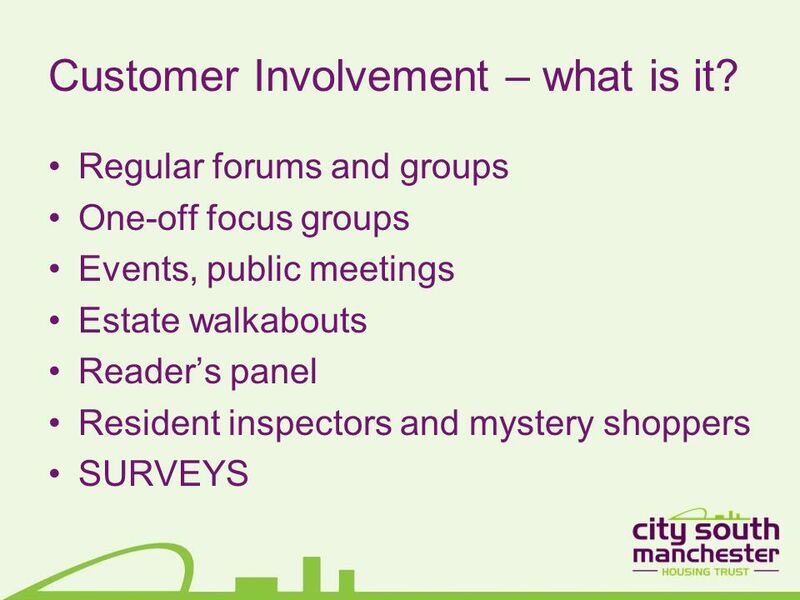 Making Excellence - a Standard Scrutiny Panel Support Packages Enhancing co-regulation, empowering customers. The Tricks of the Trade Yvonne Davies. 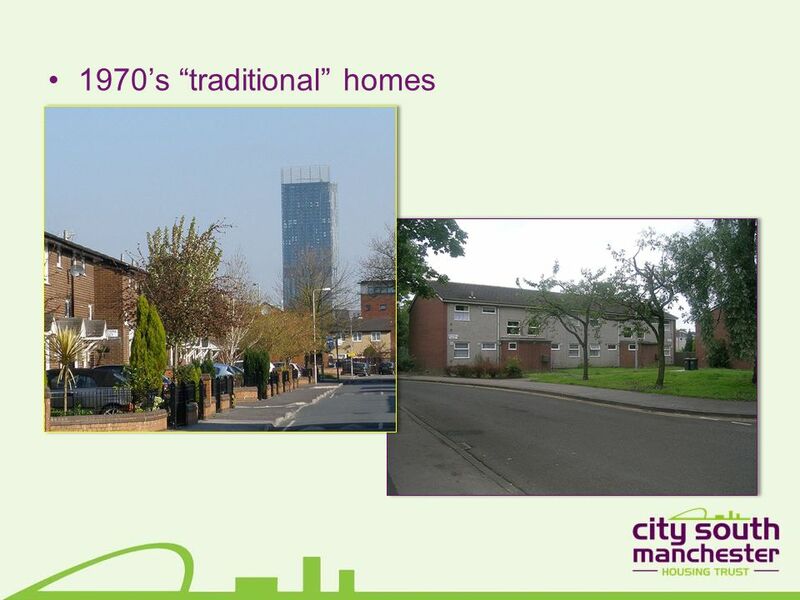 Times are changing Tenant services authority (TSA) emphasis on financial regulation & governance TSA to become. Customer Scrutiny 15 th July 2011 Jane Taylor - Customer Inspector Val Bagnall - Executive Director Being a Great landlord. 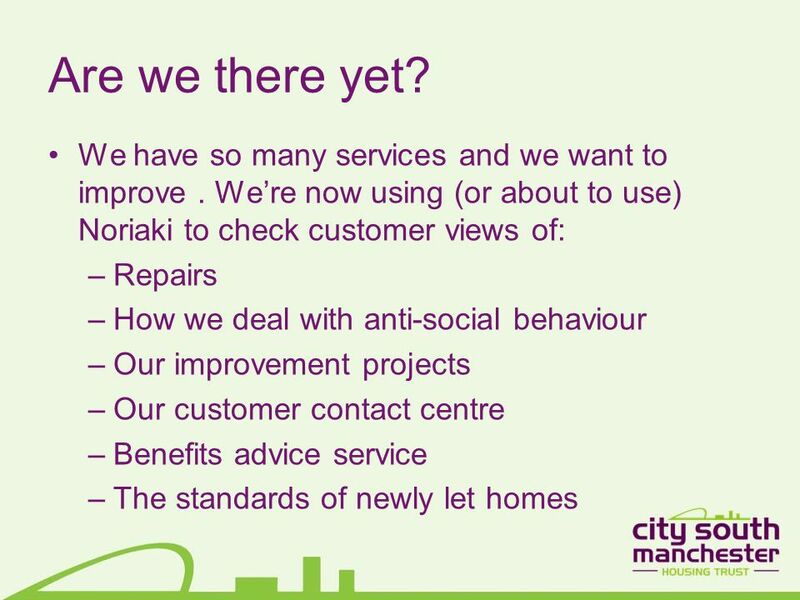 Making homes, helping people Driving performance Dedicated officer for each complaint Pace & energy into every complaint Reassure customers what to expect. 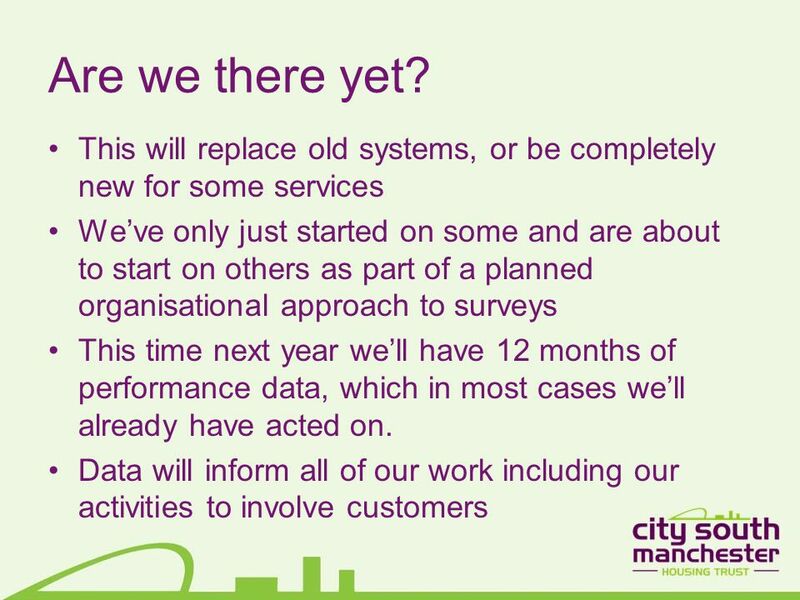 Digital Services: Managing Demand & Building Self Reliance James Winterbottom, Assistant Director Strategy & Partnerships, Wigan Council. Corporate Plan and Business Transformation Informal Member Briefing 15 th June 2009. Northwards Housing Innovate Involve Improve Impact Inspecting for Excellence 28 th April 2009 York Racecourse. Bob Colenutt, Northampton Institute for Urban Affairs, May 17 th 2012. Scottish Housing Best Value Network Fourth Floor, 125 Princes Street, Edinburgh EH2 4AD Scottish Housing Best Value Network is a registered charitable. Ealing Conference 15th November 2003 Martin Thomas ODPM’s Community Housing Task Force. Customer Service and Web Site Personalization Back to Table of Contents. 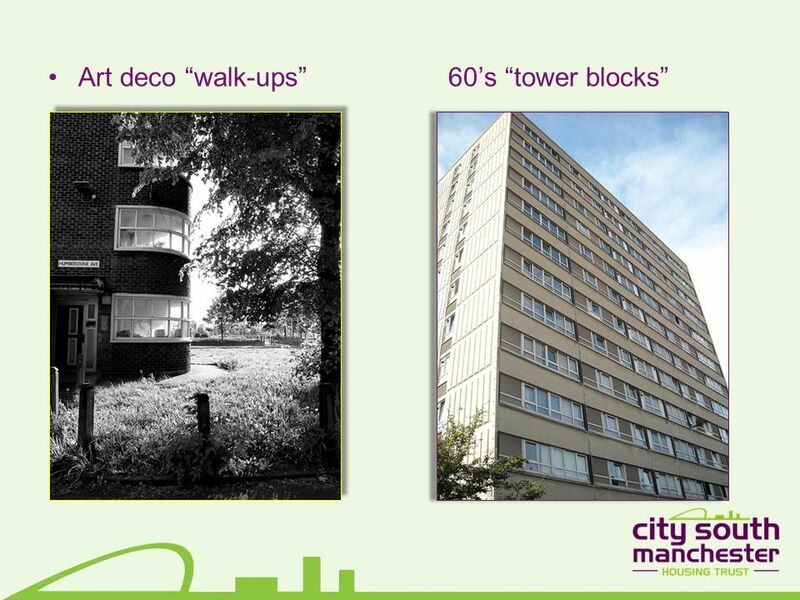 Council for Voluntary Service (CVS); Registered Charity; Company Limited by Guarantee; Membership Organisation. We have 4 key aims: 1.Provide local people. 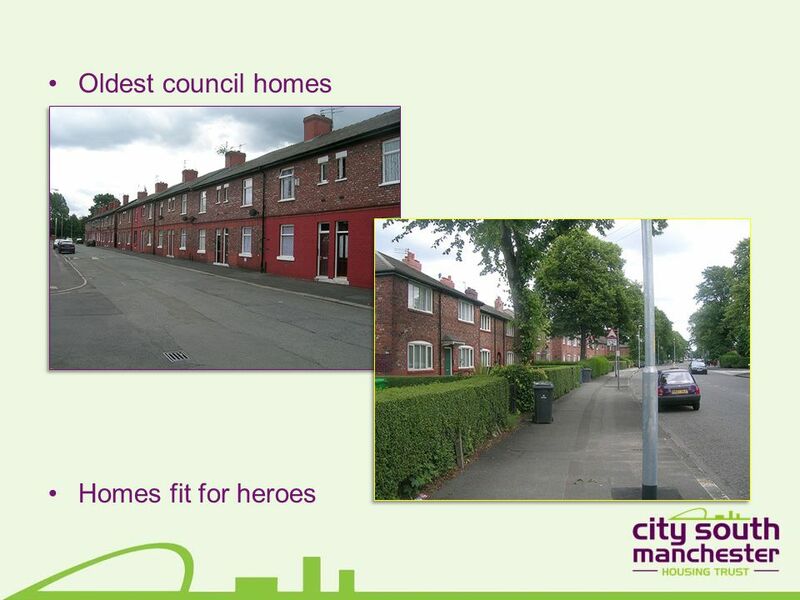 One Council - One City Equality Framework for Local Government Peer Review for Excellent.